A dooms day prepper just made one of the biggest things in his life, and it’s amazing! We all know that dooms day prepper are the people who stack foods to prepare for the dooms day to come. 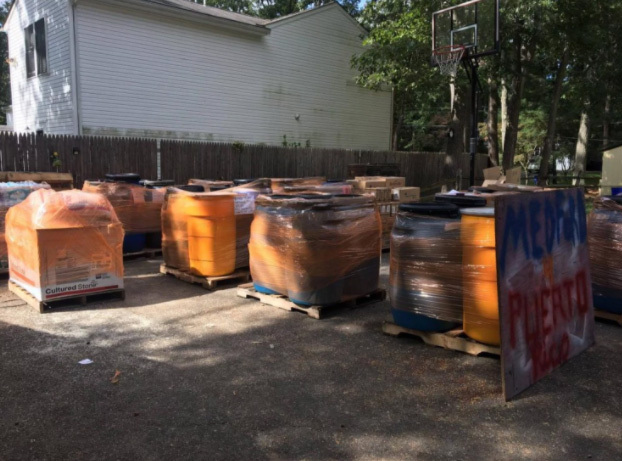 They believe that dooms day is coming anytime soon, but this dooms day prepper gave up all his stacked food for one reason— the Puerto Ricans need it more. Joseph Badame and his wife, Phyliss, were survivalists who stocked up on everything: dry food, generators, fuel, survival books, thousands of rolls of toilet paper — all to keep them alive in the event of a disaster or some other crisis. After his wife passed, Badame lost everything. Buried in debt because of eight years of medical bills and lost income, he could not prevent banks from foreclosing on his New Jersey home. The 74-year-old widower is being evicted from the house. Forty-five years of prepping seemed to have been for nothing, he said. That all changed last month, when he met a couple who run a Puerto Rican food truck in Medford. Badame learned that the couple had left some of their relatives without food after Hurrican Maria. He told them about the food supply in his basement — and said they could have all of it. In the basement were 80 barrels, each weighing 360 pounds. The barrels were filled with bags of rice, flour, sugar, dried beans, pancake and chocolate mixes, seeds and lots of other things that do not spoil and are easy to prepare. The food that the Badames had intended to eat in case of crisis will now feed starving people in two Puerto Rican towns devastated by Hurricane Maria. Half of those barrels, along with pallets of bottled water and dried milk, will be flown to San Juan on Friday. Private trucks will then deliver the goods to the couple’s home town, Arecibo, a coastal city 45 miles west of San Juan. The food will feed dozens of families.